Last March 18, 2015, was a fun and memorable day for us. 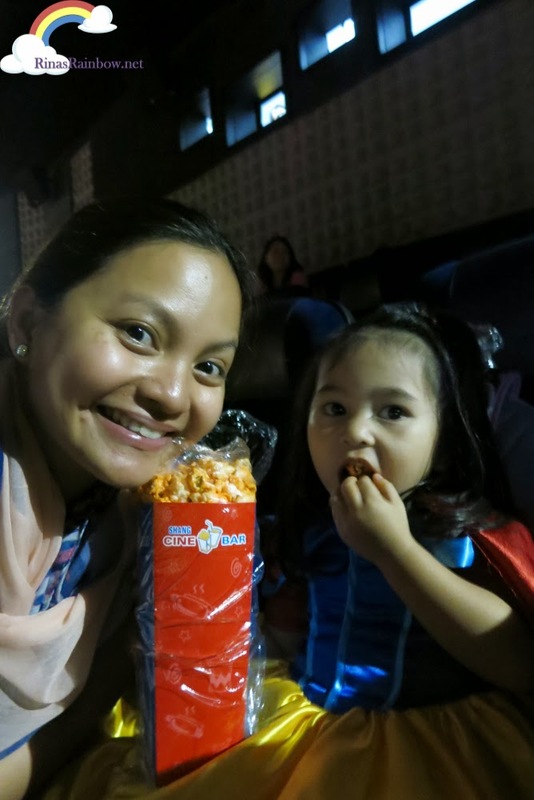 It was Rain’s first time to enter a movie house! The movie? It’s a Disney movie of course! The new live action Cinderella! 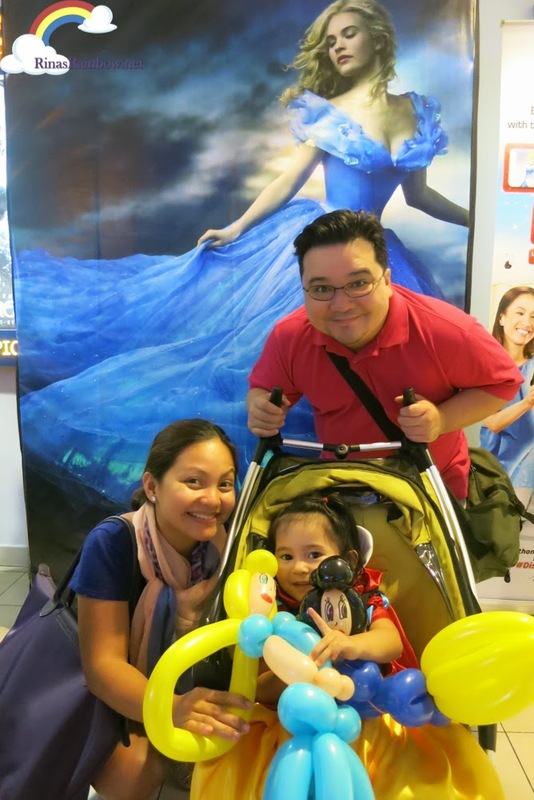 It was a treat of PLDT HOME as part of the launching of their newest announcement, the Disney on TelPad! Read more about it here! Selfie with mommy! Still eating her cheese "puncorn"! 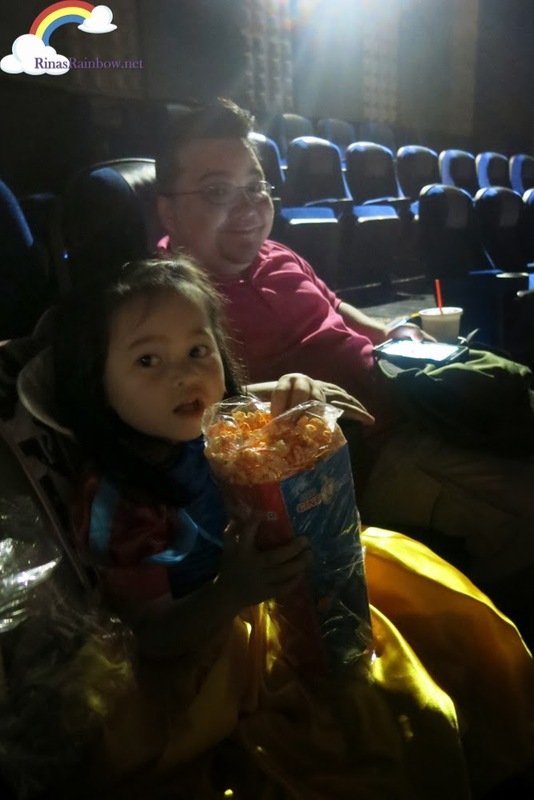 So while we were happily munching, this was going on... PLDT HOME welcoming us to the special screening of Cinderella. 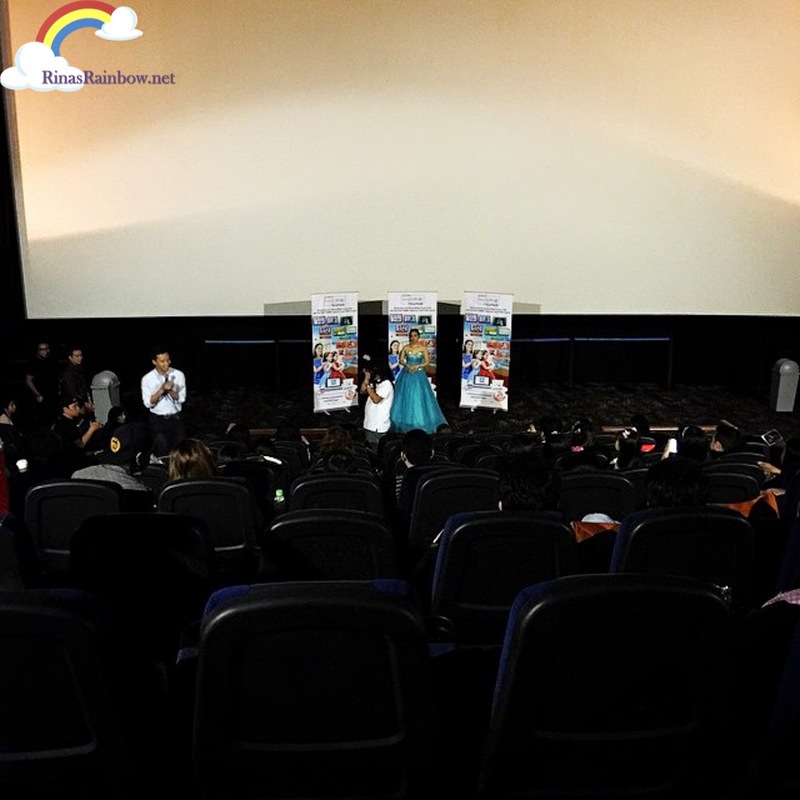 The place was filled with bloggers, media writers, as well as PLDT HOME TelPad subscribers with their kids who won tickets to this special screening. Kids were asked to wear a costume as a Disney princess or prince. And then Mr. Patrick Tan (PLDT Vice Presidne to HOME Voice Solutions) went on to announce that there was actually a Best In Costume contest! 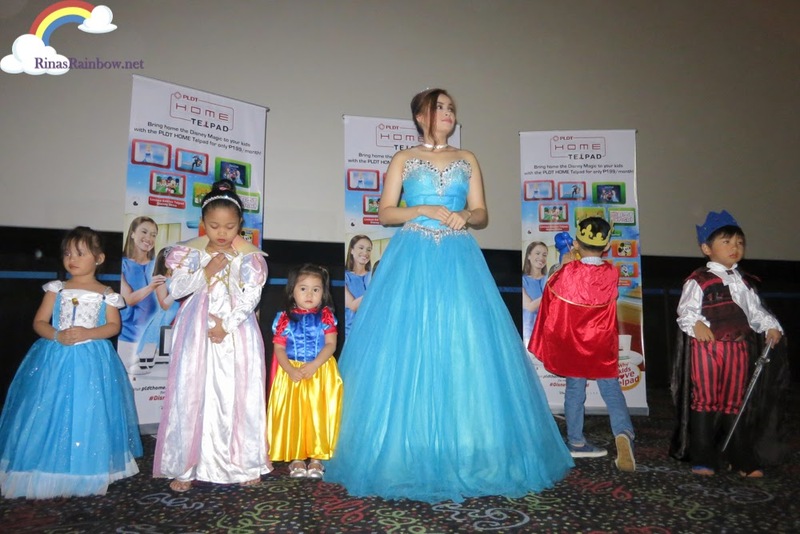 So the kids were all called to stay in front with the host Princess Kat, for the announcing of winners. Mr Patrcik Tan did the honors of announcing the winners. The 3rd prize went to the little prince with the denim crown. Hats off to his mom’s DIY skills! YES! RAIN WON!!!!! 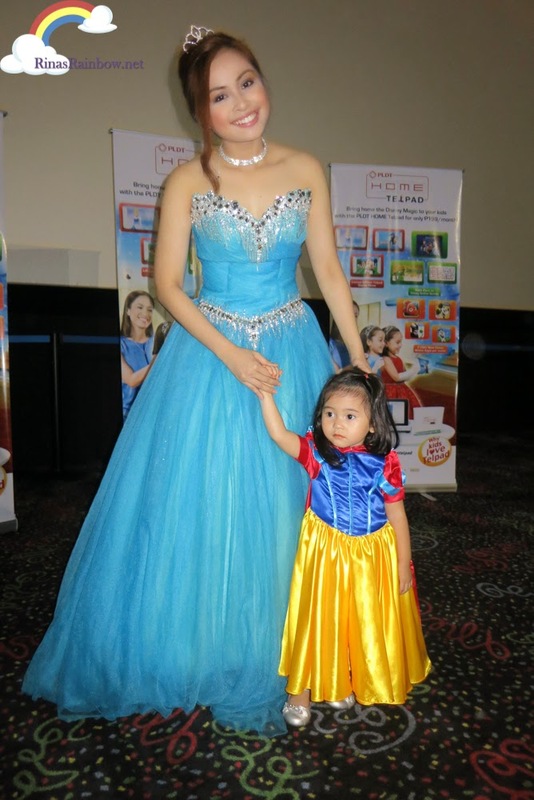 This custom-made Snow White costume of hers which we had made in Kamuning Market for her 3rd birthday party was totally worth it! Because this would be the 2nd time she won a place for a costume contest using this Snow White dress! There is always a purpose of songs in Disney movies and they always help tell the story and enhance the movie experience. I admire my disney experience and I was such a big fan of songs that when I was a kid, I was confused when animated movies didn't have songs!